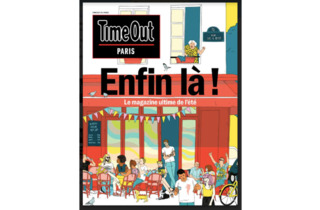 Time Out, the global media and entertainment brand that inspires people to make the most of the city, today announces the launch of a special Time Out Paris magazine. The magazine is a “pop-up” special edition to celebrate summer and music festivals in the city, and is the first time that Time Out has distributed a free magazine in French in Paris. Hitting the streets on June 5, with a circulation of 300,000 copies, it will be available at many popular local venues across the city including, cultural institutions, hotels, bars and restaurants, universities, Metro stations, SNCF lounges and the Eurostar terminal. In addition, Time Out branded street teams will hand out the magazine directly to consumers across Paris for example at Centre Pompidou, Grand Rex, Musée du Quai Branly and Gare Saint Lazare. Time Out Paris features 64 pages packed with unique content about the best things to do in the city over the coming summer months including food, drink, art, culture, travel and entertainment, curated by professional Time Out journalists. Features include the best festivals this summer, exploring the phenomenon of Taiwanese cuisine in Paris and the most beautiful spots of architecture in Greater Paris. 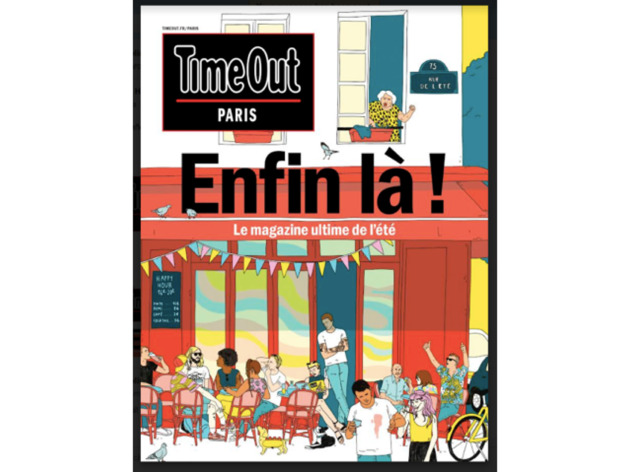 The magazine will help locals and visitors experience the best of Paris, and complements Time Out’s digital presence in the city at timeout.fr/paris, its social media channels and Live Events. It helps further grow the brand’s reach and engagement, and offers advertisers new creative opportunities to connect - locally, nationally, and globally - with Time Out’s unique audience. Time Out is present in 108 cities across 39 countries and has a global monthly audience reach of 217 million. Caroline McGinn, Global Editor in Chief, Time Out, commented: “Time Out is all about discovering the best things popping up in the city, so we thought it was a great idea to celebrate the incredible urban culture, food and events in Paris right now, with a ‘pop-up’ magazine for the city. “Time Out has been a go-to for Parisians for years, with a strong digital and social presence as well as awesome Live Events: from a silent disco in the Paris Zoo to the future food market with Naturalia.